Pheasant enthusiasts are a lot like the Chicago Cubs fans. Even though there is little hope of a great season and little to cheer for, they continue to support their sport and head to the field whenever they can. If there is one thing I have learned over the 45 years I have been hunting pheasants it is this. There are always pockets of birds that will offer good hunting. If you can find these pockets of birds, you will be rewarded for your efforts. Even during years when pheasants are down, there are always pockets of birds to be found. The key in finding these pockets of birds is to locate great habitat. Without question, hunters need to spend more time in search of these quality locations than they did when the bird numbers were higher. This probably means more road time and knocking on a few more doors. One of the considerations in determining this fall’s population actually happened last winter. Pheasants that had access to food or food plots last winter fared better than those that had to travel. Birds that fed close to their roost areas experienced less predation and entered the breeding season in better shape. Adequate cover is always a plus for pheasant hunting. Natural prairie grasses that are four or five feet tall offer a lot more in cover that quack grass and weeds. This is true for both the nesting season and the hunting season. Corn is probably the favorite food of the pheasant in the fall and winter months. Quality grassland cover next to a picked corn field is going to attract and hold more birds than cover that does not have corn fields adjacent to it. This year, water is going to be another concern. With so many dry ponds in the Midwest, water is not as easy to find as it usually is. And water is important. I remember hunting North Dakota one year when there was very little water. Our best location turned out to be a water hole in the middle of grassland habitat. Every morning and evening the pheasants could be found close to this water source. One advantage pheasant hunters do have this year is the dry fall and early removal of row crops. This greatly reduces the cover available to pheasants and congregates the birds into smaller areas. That can never hurt. 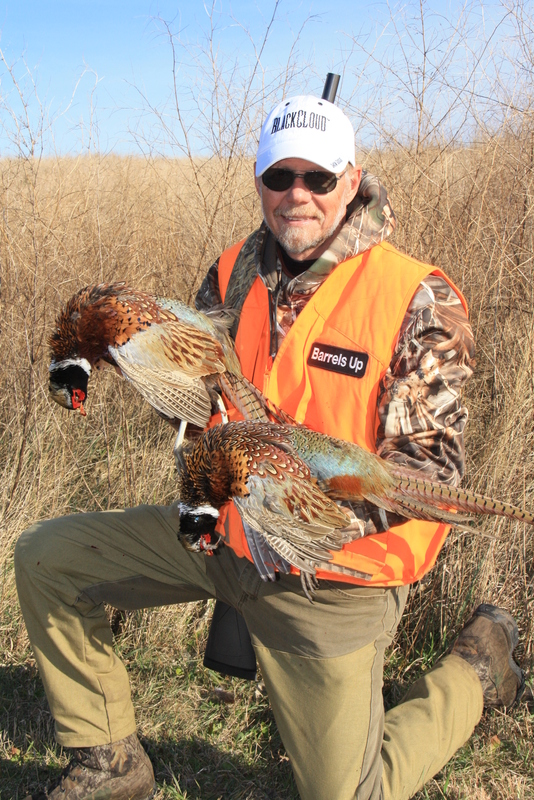 Pheasant hunters that truly love their sport do not give up easily. Although the bird count in many regions is up from last year, it is still significantly below the long term average. Because of this, hunters will be forced to potentially drive farther and spend more time looking for pockets of birds that they used to. This may not be the year for a record pheasant harvest, but those that do their due diligence and hunt where the pockets of birds are located will succeed just fine.